Nintendo of Europe have today announced that the release date for their upcoming action-packed sports frenzy, Mario Sports Mix. 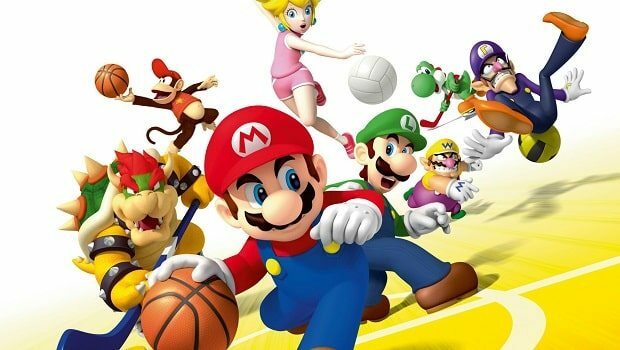 Providing Nintendo fans with a collection of four arcade-style sport games to play (Basketball, Volleyball, Hockey and Dodgeball), the company also promises plenty of unexpected twists and turns along the way, ensuring that players will be able to enjoy the manic sporting fun on offer. All your favourite Nintendo characters are set to appear, and you are also able to pit your own personalised Mii character against the company’s iconic competitors. Each character in the game is also granted their own unique special move, with Daisy filling the opponent’s side with flowers or Wario throwing a yellow “bomber shot” for instance. Within each game you’ll be able to find items to grant you the upper hand against your competitors and coins that increase your score, whereas the environments of each stage are also due to play an equally significant part with each affecting the way the ball and your surroundings behave. You’ll also be able to enjoy Mario Sports Mix in either single player mode or with up to four player matches across every available sport. You can then compete within three different cups: Mushroom, Flower and Star Cup, as you compete against 8 opposing team to become champion. Ensuring for a varied experience, when replaying any tournament alternative paths may appear that face you with special challenges or mini-games taken from the party mode. These include Feed Petey, Smash Skate, Bomb-omb Dodge and Harmony Hustle. Mario Sports Mix is due to release exclusively for Wii on February 4th across Europe.